My kids are absolutely obsessed with Paw Patrol, it’s all they watch and every game they play is Paw Patrol themed. Tiger is always Chase and Cherry is Skye. As kid’s shows go I actually don’t mind it either, although I do constantly have the theme tune going round in my head. 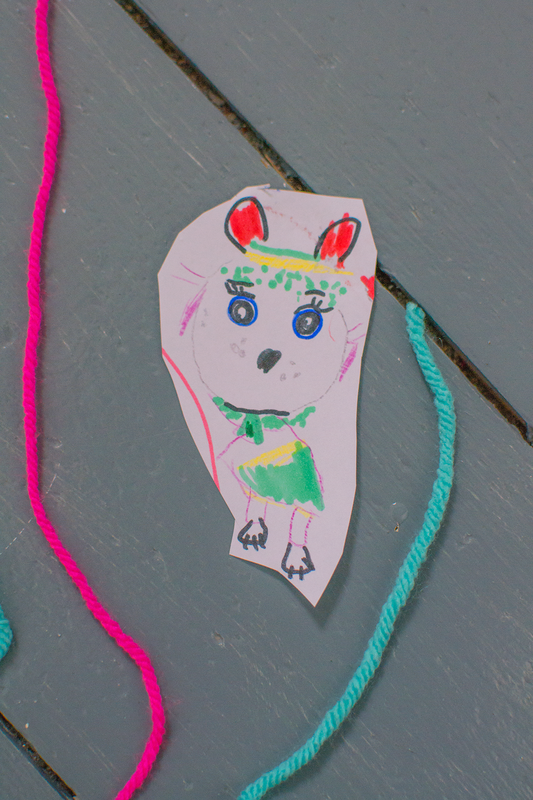 Cherry is nearly 6 and absolutely loves crafting, I love hearing about her new ideas and love how she is so inspired she gets straight to work putting them into action. 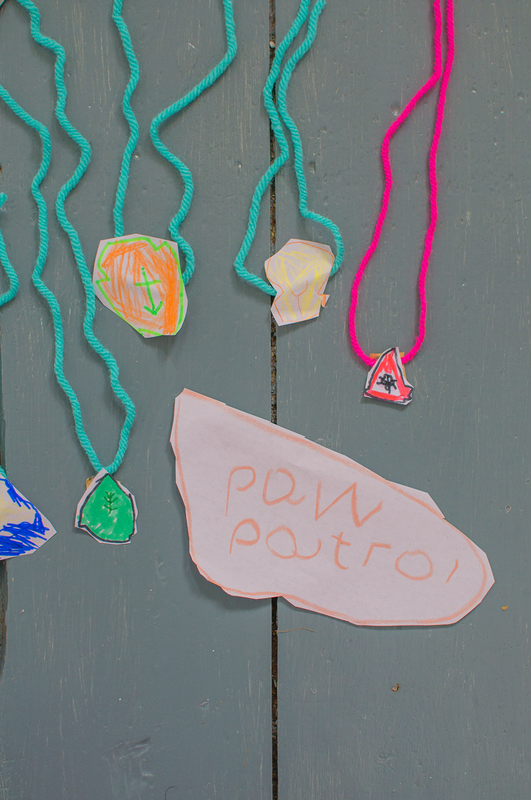 A couple of days ago she spent hours making lots of Paw Patrol things for her game and she laid them all out on the floor to show me and told me how I could put them on my blog so that’s what I’m going to do! She made pup tags and masks, and since taking these photos she even went on to make 3D pup tags. 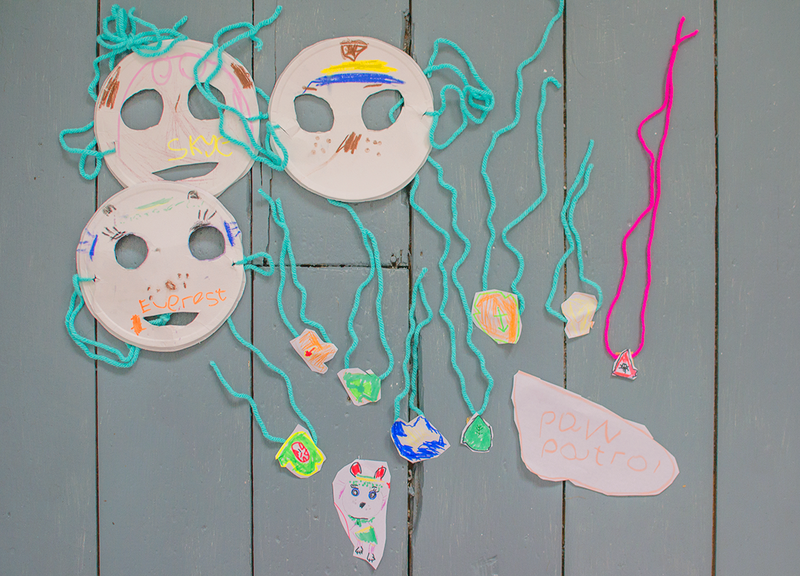 She made the masks by cutting out eye wholes and decorating some cardboard circles, then adding yarn to tie them on. And drew the pup tags on paper before cutting them out and sticking them onto yarn with tape. 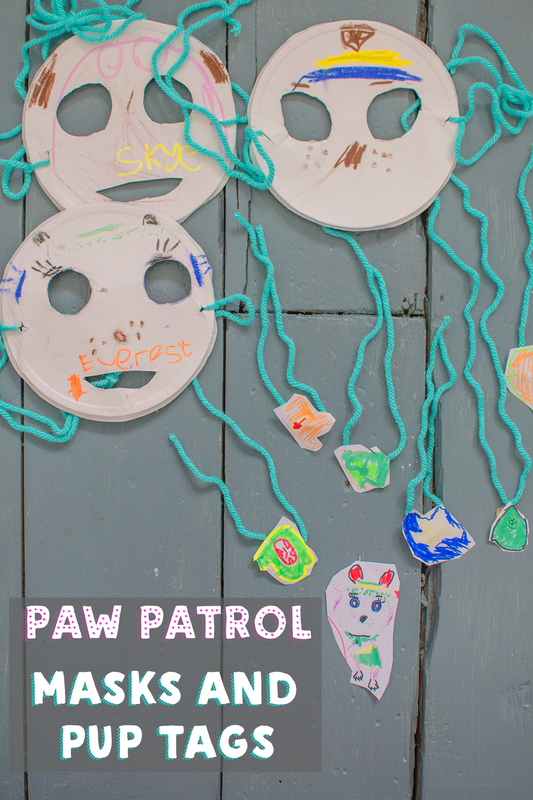 If you have some Paw Patrol loving children then hopefully this will inspire them to make some things for their Paw Patrol themed games.